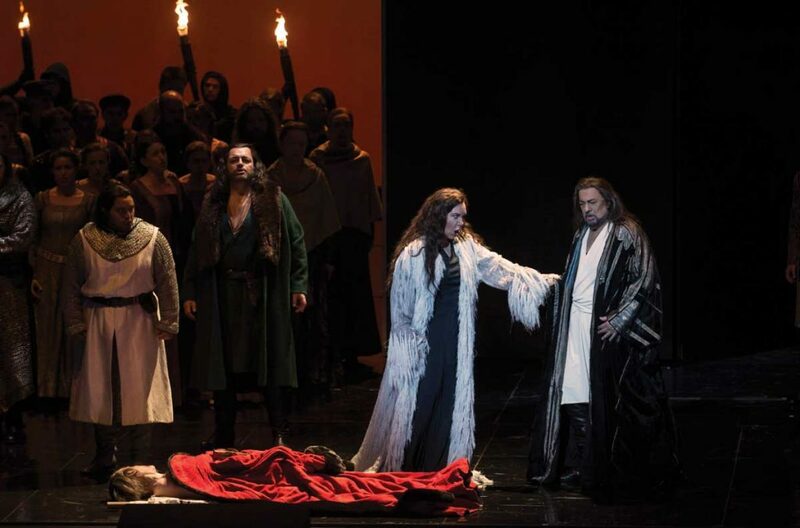 A scene from a 2015 production of Macbeth at the Palau de les Arts in Valencia, Spain. Photo by Tato Baeza. It’s curtains up for an exciting new season of visual and performing arts events in downtown Los Angeles. Following a star-studded gala, Walt Disney Concert Hall’s season revs up Sept. 29, 30 and Oct. 2 with the L.A. premiere of Los Angeles Philharmonic creative chair John Adams’ Absolute Jest, a reworking of archetypal Beethoven excerpts. Gustavo Dudamel conducts and pianist Yefim Bronfman crowns the program with Beethoven’s Piano Concerto No. 4. Inside the Disney Hall complex, CalArts’ interdisciplinary contemporary-arts center, REDCAT, begins its fall season with Christian Rizzo’s Turkish-inspired dance d’aprés une histoire vraie Sept. 15-18, followed by Tammy/Lisa: From Misery to Meaning, by Looking star and The Daily Show correspondent Lauren Weedman, opening Sept. 29. September is a big month for the Center Theatre Group’s downtown venues, too. Previews of August Wilson’s Ma Rainey’s Black Bottom, directed by Phylicia Rashad, begin Sept. 1 at the Mark Taper Forum, and previews of a Tony Award-winning revival of Arthur Miller’s A View From the Bridge begin Sept. 7 at the Ahmanson Theatre.